Hiking in the desert feels both normal and unfamiliar. I know so much more about this unique environment than when we moved here but I have so much more to learn. As I hike the trails I’m well aware that the animals are living their lives perhaps not far from where I’m walking but even for those within my sight I wonder how many I actually see. I’m still developing eyes for the desert. I am making progress, each hike is an opportunity both to look and to see. 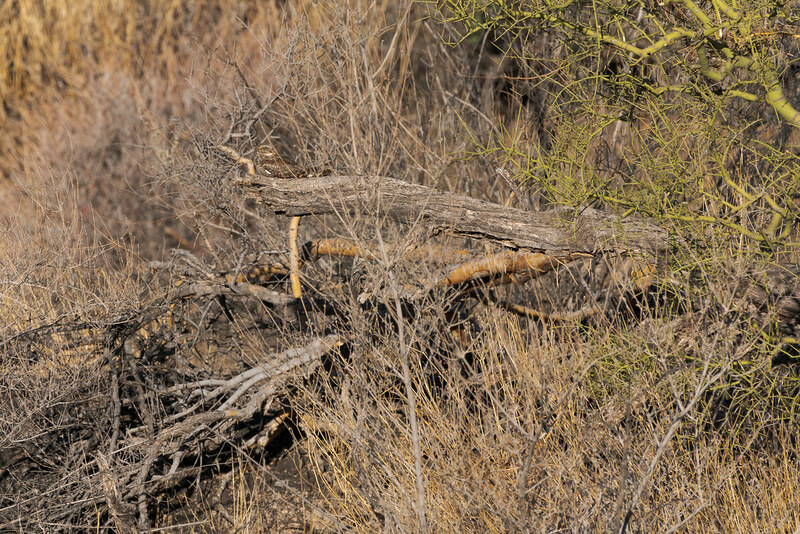 While taking a water break near the Amphitheater I spotted what I thought might be a lizard in the scrub and walked closer with my camera, almost turning around on a couple of occasions when I became convinced it must be a stick or bit of dried cactus. Thankfully I kept going and discovered this lovely zebra-tailed lizard. It happened again this morning, out on the Rustler Trail I thought I saw another zebra-tail in the middle of the trail so I slowed my approach, but repeatedly doubted myself until I was close enough to remove all doubt. Sometimes though I think I could live here for decades and still not see what lies before me. The only reason I saw the lesser nighthawk below was that I stopped for a water break and it flew towards a nearby rock before seeing me and settling down further off on this fallen tree, hidden in plain sight. I’ve seen them flying low over the desert numerous times but I now wonder how many I’ve passed that were settled in for the morning. 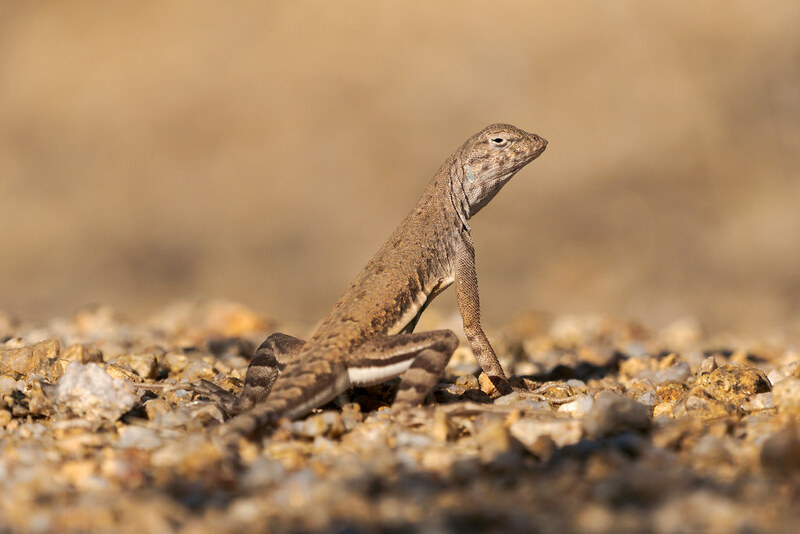 This entry was posted in Birds, Reptiles and tagged Arizona, Brown's Ranch, Cholla Mountain Loop Trail, desert, lesser nighthawk, lizard, McDowell Sonoran Preserve, Off-map Trail, Scottsdale, Sonoran Desert, The Amphitheater, zebra-tailed lizard. Bookmark the permalink.